The Church of Jesus Christ - 2nd Verse! If you won't be teaching the 2nd verse, I'd highly suggest using this Sunday to review all our 2015 program songs. 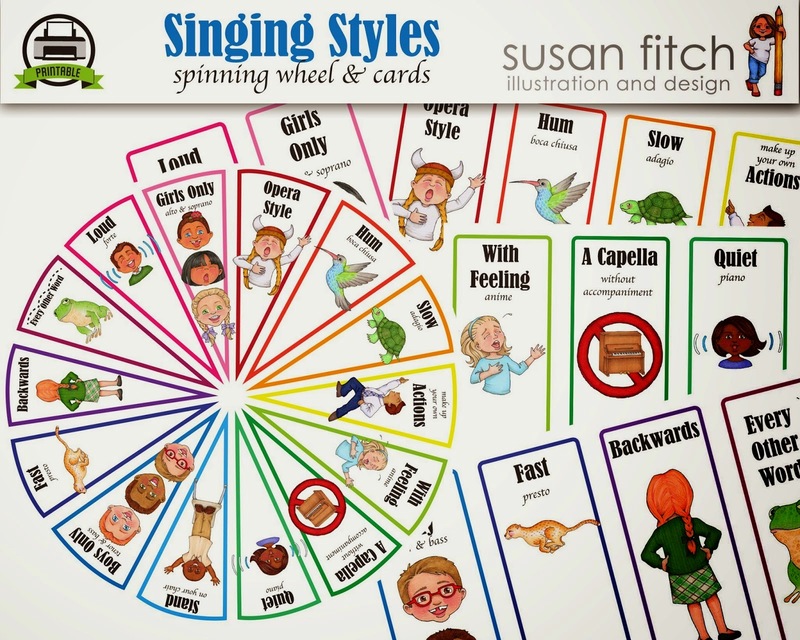 What I had scheduled this Sunday was to use Susan Fitch's Singing Time Spinning Wheel found HERE to review (you do have to purchase it, but it is very versatile) but I'll just postpone it until next month. Or you can scholl through all of my review activities HERE. To teach the 2nd verse of this song, you will need to first get the music! I purchased the CD called Beloved Double Melodies of Janice Kapp Perry and it included a PDF version of the music to print. Find more details HERE. It's not church-approved but I have received authorization from my bishop to use it so I'm super excited. I've got all the words in my "posting" format to this version HERE (see how I post words HERE). But again, you will need the music as the music is VERY different than what's in the Children's Songbook. (you can just use a plain popsicle stick (or any stick for that matter!) if you don't have these or see how I made mine HERE) and we'll pitch lead for the 2nd verse and try to sing along. THEN When the CD sings the song together, we will try to figure out which words/phrases of the 2nd verse are sung at the same time as the first verse/phrases (this may be only a Senior primary thing - we'll see). I'll write those 2nd verse words on the chalkboard next to the phrase that they match. Clear as mud? For example, when the first verse sings, "I belong to the church of Jesus Christ of Latter-Day Saints!" the 2nd verse will be singing, "This is the church of Jesus Christ." Then we'll add on each of the phrases until we get all the phrases lined up and hopefully listened/sung along enough times that it becomes more familiar. Time permitting, we'll divide the primary in half and try to sing it with the piano. Once learned, it would be fun to pull out my "Who Sings Now" necklaces found HERE! Carmella how did you go about getting approval for the 2nd verse? I hope your remeber lol. thank you for this wonderful idea. I love you blog and all you ideas.